Fan Jingma came to international attention as a prize winner at the Third Cardiff Singer of the World Competition in 1987, upon which Placido Domingo commented as “a tenor rarely heard in Europe during the past decade,” which was followed by the Silver Medal at the Second Rosa Ponselle International Vocal Competition (NYC, 1988), the First Prize at the Opera Index Vocal Competition (NYC, 1991), and the Finalist Award at the Luciano Pavarotti International Vocal Competition (Philadelphia, 1995). After having graduated from the Sichuan Conservatory of Music in his native China in 1982, Fan Jingma stayed on as a professor of voice. 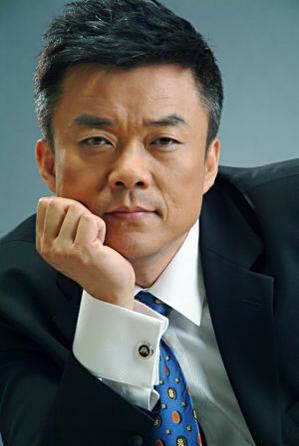 He became a national celebrity overnight after winning China’s First Televised National Youth Vocal Competition in 1984. He went to Italy in 1987 and studied at the Conservatorio Arrigo Boito di PARMA, where he refined his bel canto technique under the guidance of Carlo Bergonzi, and then went on to the Juilliard School of Music to further his education in 1991 and studied with the famed tenor, Franco Corelli, from 1992-1993 while in New York. Fan Jingma’s major operatic repertoire includes the title roles in Faust, Don Carlos, Lucia di Lammermoor, La Boheme, Tosca, La Traviata, Magic Flute, Madame Butterfly, Rigoletto, L’Oracolo, La Cenerentola, l'elisir d'amore, Eugene Onegin, Don Giovanni, Carmen, Fidelio, Die Fliegende Hollander, Il re Pastore, La Finta Semplice, Maid of Orleans, Dialogues des Carmélites, I am the Way (Jerome Hines), and Franz Lehár’s operetta Das Land des Lächelns, among the over 40 operas and operettas. Fan has performed on the stage of major opera houses around the world, and his portrayal of Goro in the 1995 release of the film version of Madame Butterfly (Sony Classical Film, directed by Frederic Mitterand with James Conlon conducting, starring Ying Huang and Richard Troxell) gained high acclaim and was reviewed as “worthy of an Oscar nomination” by Opera Now Magazine. Fan Jingma also makes great efforts to champion new Chinese operas and performed the title roles in five opera premiers between 2002 and 2005. At the same time, Fan Jingma is an accomplished soloist and recitalist and is praised for his wide vocal range, warm timbre, effortless agility, truthful interpretation of the original work, and commanding stage presentation. His major solo repertoire includes Handel’s Messiah, Beethoven’s Ninth Symphony, Requiem by Mozart and Verdi, Mahler’s Das Lied von der Erde, and Igor Stravinsky‘s Persephone, among other solo roles. His most recent powerful rendition of the tenor aria in the Chinese composer Peng-Peng Gong’s Fifth Symphony (world premiere, Dec 13, 2015, Shanghai, China) received a standing ovation. He has traveled the world and given more than forty recitals over the years and received high regards in Austria and other European countries as well as in China, Asia, Australia, Russia, Africa, and the United States. He has also been invited to perform at various international music festivals and participated in numerous charity performances. In January 2016, he toured in Egypt with the national delegation led by President Xi Jinping for the 60th anniversary celebration of the two cultures and participated in the performance of Aida and sang Nessun Dorma at the grand finale inside the Luxor Temple. Fan Jingma’s discography includes Beautiful Singing, a 4-CD set released in 2006 (Puluo Arts, China; the Golden CD Award) that features his opera arias, Italian folk songs, live concert recordings, and English love songs. The 2008 release of the Chinese Lieder (Channel Classics, Holland; SACD) is a collection of Chinese art songs and folk songs. His third CD, Yage–A Collection of Chinese Art Songs, is being produced and is to be released in 2016. The year 2008 marks the launch of Fan Jingma’s Yage project. Yage-the Chinese Lieder is a new concept as well as a new singing form created by Fan that characterizes the blending of the bel canto technique and the Chinese diction with the accompaniment of a string quartet and piano. On the foundation of his Chinese Lieder (CD), Fan Jingma has focused his attention on his Yage creation and development in recent years and has gradually established the new genre. His Yage recitals in Singapore, Europe, tour performances in the Chinese cities, and the U.S. debut at the Carnegie Hall and Yale University (May, 2014) were all enthusiastically received and aroused great interest among music scholars, performers, and the audience.